UK Release Date - 27th September 1999 (delayed from the 20th). US Release Date - September 1999. Studio - Casa La Brad (Burnout). 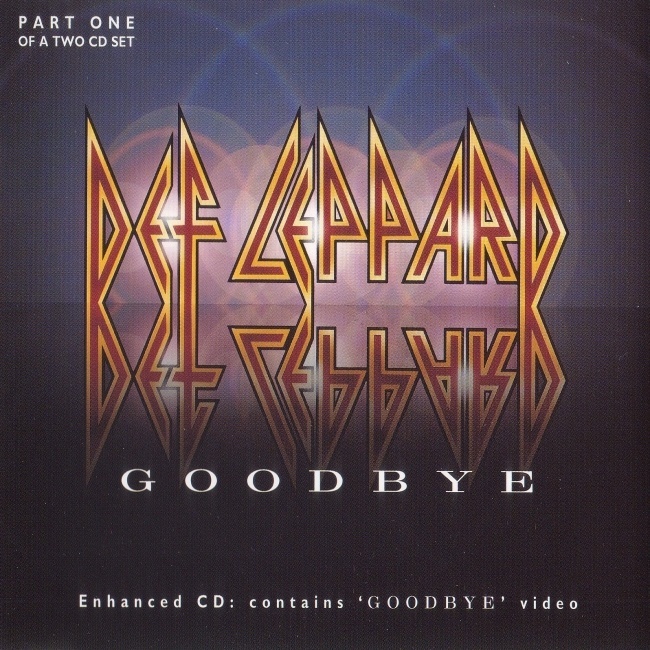 Special Formats - UK CD1 Enhanced CD featuring Goodbye video. Special Formats - UK CD2 Enhanced CD featuring WLAHC video. The second single from 'Euphoria' was released in September 1999. 'Goodbye' was delayed from the originally advertised release date of 23rd August. It was also promoted with a release date of 20th September but was eventually released on 27th September. Together with very little video or radio airplay the single did not quite reach the UK Top 40 but still did reasonably well reaching Number 54. The single, like 'Promises'; was released over two CDs with both of these being enhanced with video. One for the single itself and 'When Love & Hate Collide' on CD2. A number of new tracks were released as B-Sides including 'Burnout' credited to all the band including Rick Allen. A cover of Ian Hunter's solo song 'Who Do You Love?' was part of CD2. For the enhanced CDs a black screen appears with a promo pic of the band in the center of the screen and the video with control options in the middle. The video for 'Goodbye' is 65.5mb and the 'When Love & Hate Collide' clip is 81.1mb (both .mov quicktime files). The promo CDs contained the album version of the song. Various Japanese versions also included the B-Sides from the 'Promises' single. 04 - Who Do You Love?